NEW ORLEANS IS A CITY FULL OF CHARM, BUT IT CAN BE A CITY FULL OF HARM. ITS A CITY ENRICHED WITH MULTI-CULTURAL INFLUENCE, MUSIC, ART & FESTIVAL. HOWEVER,WRAPPED AROUND THE CITY’S COLORFUL HISTORY IS A DARK CHAIN OF TRAGIC & EVIL EVENTS. STORIES OF WAR, NATURAL DISASTERS, A MURDEROUS SOCIALITE, THE RACE RIOT OF 1866, LYNCHING OF 1890 & THE INFAMOUS AXEMAN MURDERS. IN 1918-1919 NEW ORLEANS WAS TERRORIZED BY A FACELESS AXE WIELDING SERIAL KILLER WHO BROKE INTO THE HOMES OF ITALIAN IMMIGRANTS & ATTACKED THEM WITH AN AXE. THE CITY CALLED HIM THE AXEMAN. TO THIS VERY DAY HIS LEGEND REMAINS AND THE WHEREABOUTS OF HIS IDENTITY STILL REMAIN UNKNOWN . WHO WAS THE AXEMAN OF NEW ORLEANS?, WHY DID HE ONLY TARGET ITALIAN BUSINESS OWNERS? WAS HE REALLY A DEMON ? 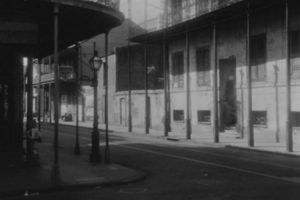 HOW DOES THIS STORY COME TO AN UNUSAL ENDING IN LOS ANGELES AND DOES HIS SPIRIT STILL HAUNT A FAMOUS HOTEL IN THE FRENCH QUARTER? 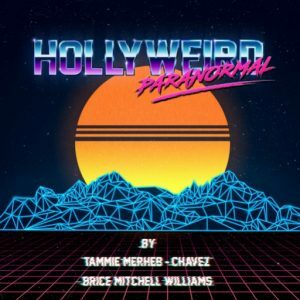 WE TALK ABOUT THIS & MUCH MORE ON HOLLYWEIRD PARANORMAL.